I like all your dishes.Before going into kitchen I make sure to check our recipe and then start cooking. Could you please show us how to make Samosa. 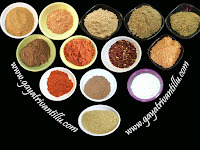 Hi Gayathri garu,i am one of the follower of u r videos. I have one request gayathri garu. 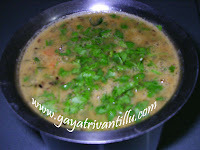 i want to learn how to prepare PURNAM BURELU. please if u don't mind prepare that video mam. your videos are really good mam. Your recipes inspire me cook always. I get bored to cook sometimes just when i visit your site and change my mind. I am trying all your recipes one by one and so far you exceeded my expectations..thanks.. I dont see cauliflower bonda recipe but i do see the pic.. Your preparations are very good and your idealogy is admirable. Can you post how to make chanimidi? ?